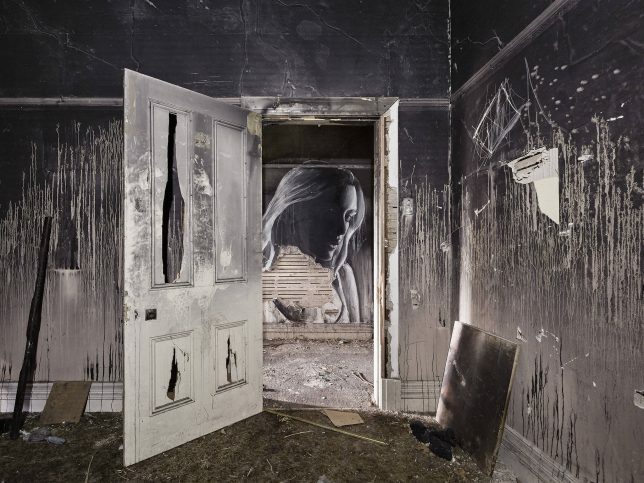 Abandoned places are often steeped in a mixture of emotional impressions, commingling a sense of loss and a confrontation of our own mortality with slivers of hopefulness for a new future, as nature begins to take over what we’ve left behind. As we move through these deteriorating spaces, strewn with the belongings of former inhabitants who seem to have simply disappeared, we wonder who they were and why the spaces that once sheltered them as they went about their lives have come to this. 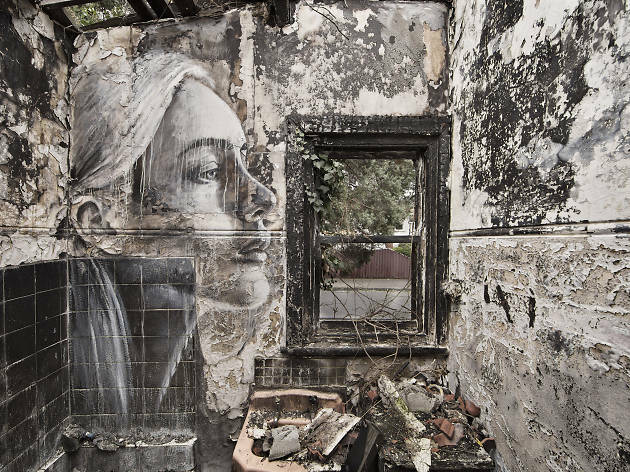 It’s these emotional qualities that make a new series of murals by Australian street artist Rone all the more poignant and powerful. 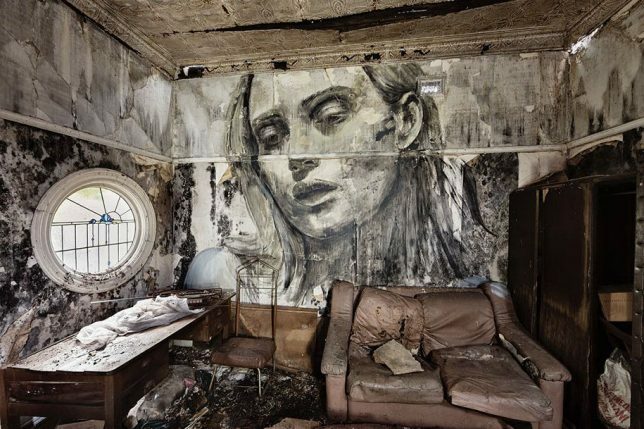 Entitled ‘Empty,’ the series places the artist’s signature portraits of women on the walls of abandoned interiors, deepening their emotional weight. 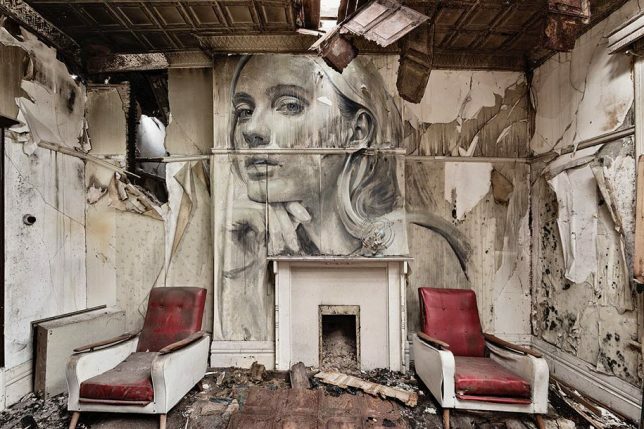 Much of the subjects’ glamour is stripped away as their skin takes on the texture of peeling paint, the lines of their faces are interrupted by fallen tiles and their gazes are pointed down at the destruction of their environments. For the Melbourne-based artist, this series represents a shift from the smooth, clean surfaces of his canvases and even the more clear-cut exterior walls upon which his murals are typically painted. 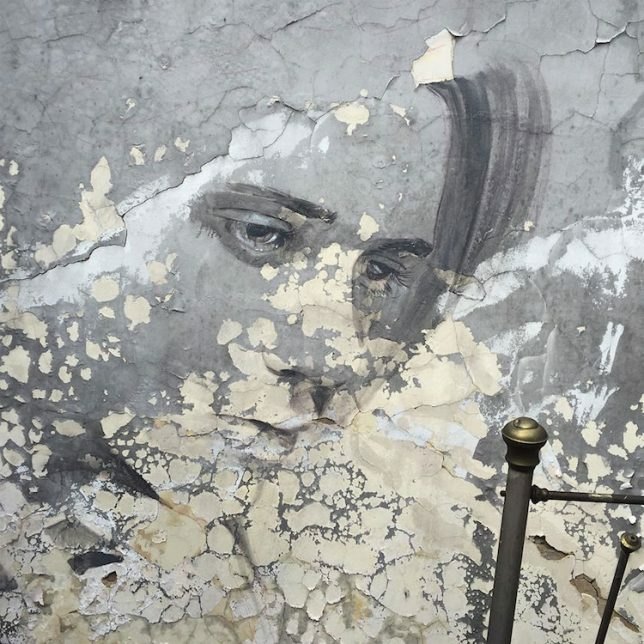 But Rone has always found meaning in the temporary nature of these installations, as the artworks are gradually worn away by the elements or painted over by vandals and other artists. 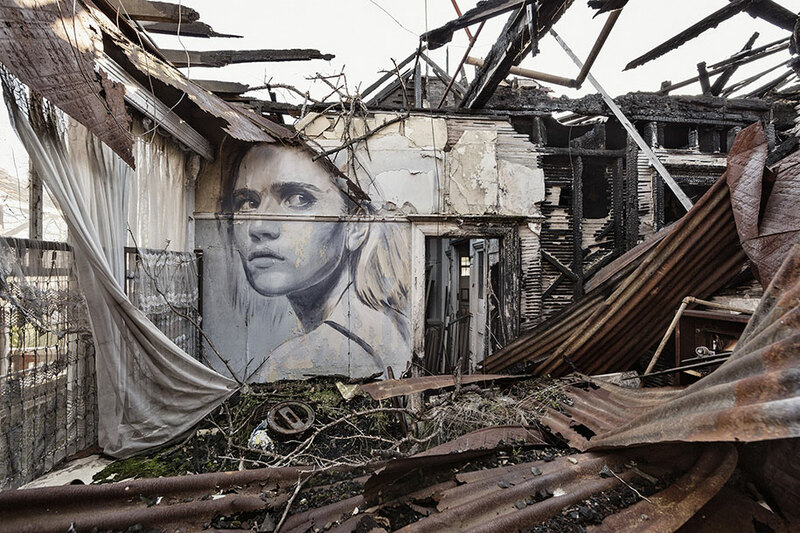 Rone exhibited ‘Empty’ at the soon-to-be-demolished Star Lyric Theatre building in Melbourne, presenting photographs of the murals in situ along with works on canvas and paper. 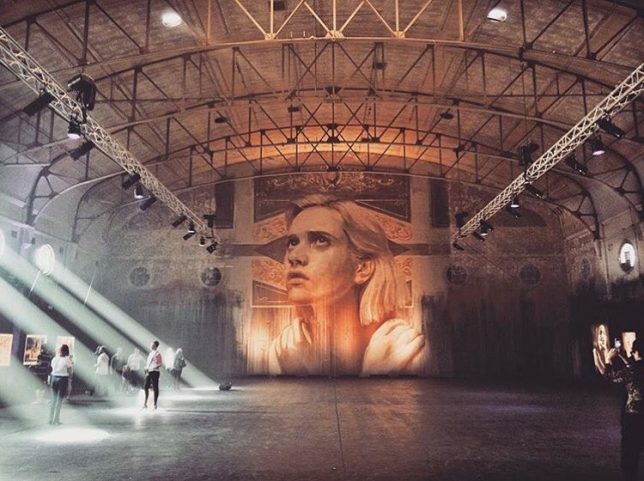 The artist also painted a new mural directly onto the back wall of the theater, stretching nearly 33 feet from floor to ceiling. 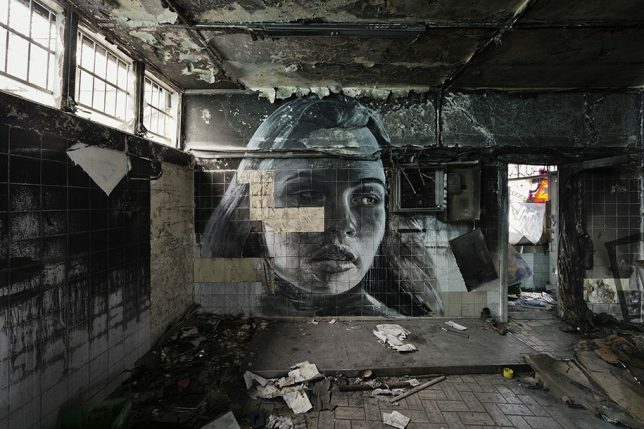 It’s a fitting way for the decaying Art Nouveau building to go out, with Rone’s canvases lining its blackened and stained surfaces. See more photos of the installation at Street Art News.